Are you looking for a local tooth removal dentist for oral surgeon services near me in Burtonsville near Silver Spring or Columbia Maryland? Dr. Gary Adams is one of the best dental surgeons for tooth removal and tooth extraction surgery in the DC and Maryland areas. Patients travel from all over the DC metro area, USA and abroad. 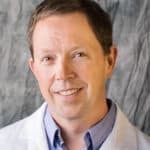 Dr. Adams is most sought out because of his natural and biological approach to oral surgery including 1) dental ozone 2) PRF platelet rich fibrin and 3) natural bone graft techniques. Our patients experience short recovery times, very little pain / swelling because of our novel platelet rich fibrin PRF dental and ozone therapies. Maryland Holistic Dentist will never use any unnecessary drugs or chemicals. Dr. Adams also can do full sedation dentistry for tooth removal surgery. Platelet Rich Plasma aka PRF is a novel therapy used during tooth removal, dental implant surgery. PRF accelerates healing, decreases pain and swelling after oral surgery procedures. Dr. Adams prefers to use PRF with all tooth extractions (but he does not require it). Dental ozone / oxygen gas therapy is always used for every oral surgery procedure. Holistic Oral Surgeon Services employ traditional oral surgery techniques augmented with Platelet or PRF therapies and oxygen and ozone gas treatments. 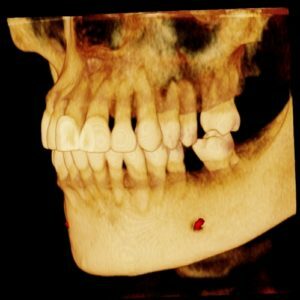 Natural surgical techniques speed-up healing, decrease swelling and discomfort following tooth removal, implants and bone grafts surgery. The best time to replace a tooth with a dental implant is on the day of tooth extraction. Why go through more than one Sedation and oral surgery procedure? We perform immediate implant placements, that is a dental implant placed at the time of tooth extraction. At the time of extraction, there is already a “hole” i the jaw or that is a tooth extraction socket. Why return later to have a new “hole” created. Research shows an immediate dental implant placement is not only saves time, but produces a better result. We have cosmetic tooth colored, metal-free Zirconia Dental Implants as well as titanium dental implants. Since we are a dental implant center we place crowns and dental implants.